Why we should tax tampons, and everything else. Tax on tampons is a hot topic, with Tony Abbott and Joe Hockey in major disagreement. The issue was brought into the spotlight via a petition on communityrun.org. “And how can a bodily function be taxed? Because the government doesn’t consider the tampons and pads we’re forced to buy every few weeks ‘necessary’ enough to be GST-free. Sanitary items are different from “condoms, lubricants, sunscreen and nicotine patches”, because people already want to use them, and there is no evidence of significant public health risk if usage falls. Also, “necessity” is not the binding criterion for determining what gets taxed – we tax electricity. “Half the population menstruates and they shouldn’t be financially penalised for it. If you still aren’t convinced, let’s consider some statistics: on average women, who make up the majority of people who use sanitary products, earn $262.50 per week less than their male counterparts, and they are also statistically at greater risk of living below the poverty line. Furthermore, this tax disproportionately targets those who may already be disadvantaged, that is the homeless and unemployed. Healthy women menstruate for about half their life. So, less than 25 per cent of the population menstruates. How big is the financial burden of this tax on them? A 16 pack of brand-name tampons costs $4 at Coles. Let’s estimate a woman spends $10 a month. GST on that adds up to $12 a year. The number of people who can’t afford tampons because of GST is therefore negligible. The number of people pushed into poverty because of that $12 slug would be small. Most people campaigning against this tax have no trouble affording $12 a year. So if you want to make a difference to the financial well-being of poor women, this is an indirect and very marginal approach. It comes with real trade-offs – it would cost the government revenue. That undermines the ability of society to support the poor. Here’s a petition I’d support instead: raising income support payments to a more reasonable level. If this petition is not really about public health, necessity or fairness what’s it about? People hate paying tax. They really hate taxes they can’t avoid. They then create ex-post reasons why they should not have to pay tax, generally involving the welfare of the wretched. (Their own benefit is merely incidental to the social good they’re pursuing!). The mining industry showed the way, with its campaign against the mining tax, focused on the health of small towns and communities. The big polluters mimicked this in killing the carbon tax, worrying about the electricity bills of families on the bread-line. It’s no surprise these tactics have spread – they’re extremely effective! The crux here is whether there is a link between fairness and avoidability. Is a tax fair only if there’s a way to avoid it? Unavoidable taxes are the backbone of our revenue raising system. We already raise lots of revenue effectively through big taxes on things everyone agrees are “good,” like earning income and buying clothes. I’ve previously written that we need more taxes nobody can avoid. Tax theory says not to introduce loopholes. That was the mantra when I worked at Treasury – maintain the integrity of the system. Always use payments to solve problems, because exemptions are not targeted and get exploited. But perhaps I am out of step with community sentiment. Hate for (certain) unavoidable taxes goes back a long way – Poll taxes brought down Margaret Thatcher, for example. Also, exemptions to the GST were what bought it enough legitimacy to be introduced. I sometimes wonder if sin taxes – tax on alcohol and cigarettes for example – are to blame for the way people see tax in general. A lot of people interpret the tax system as a moral agent judging their actions. If I saw all tax as punishment, I’d be furious about paying tax on sanitary items too. Tax is not punishment, so maybe we should rename sin taxes to something other than taxes. What we should not do is carve up the system with more exemptions. Exemptions undermine the efficiency of the tax system but also the sense that tax is our common duty. I see plenty of normal people arguing that big companies that contort themselves to pay very little tax in Australia are “just doing what anyone would do”. The sense that everyone can and will avoid tax at every turn is pervasive. “Tax is what we pay for civilized society.” US Supreme Court Justice Oliver Wendell Holmes, Jr. Thanks for reading this far! If you’d like to agree, disagree or accuse me of obnoxious mansplaining please do so below, and I shall attempt to respond! Posted on May 28, 2015 May 28, 2015 Author thomasthethinkengineCategories UncategorizedTags ausecon, Australia, Economics, Tax14 Comments on Why we should tax tampons, and everything else. The government’s small business budget has been a big success, it seems. They got positive headlines about the Budget being stimulatory, and now approval ratings of the PM are back up. It’s a PR success. And a lot of that is due to attention lavished on the $20,000 tax write-off for small business. Get ready for a lot more asset write-off announcements in future. Because they buy the government a lot more headlines than they deserve. You wouldn’t know this from reading about it, but the “$20,000” asset write off is worth only about $1000. The $20,000 is not taken off the tax bill of a small business. Instead it’s a deduction from income – same as when an individual gives to charity. After a small business takes $20k off their income, they save the 28.5 per cent tax they would have paid on it. 28.5% of 20k is $5700. That’s the actual value of being able to instantly write off a car or machine from your tax this year. But here’s the thing. Businesses could always write off asset purchases against their income. They just had to do it more slowly. Using a depreciation schedule from the ATO website, I calculated how much a small business would have been able to save off their tax under the old rules. The only advantage is that under the new policy, a business can claim all that $5700 in this tax year, instead of claiming it in dribs and drabs over the next decade. 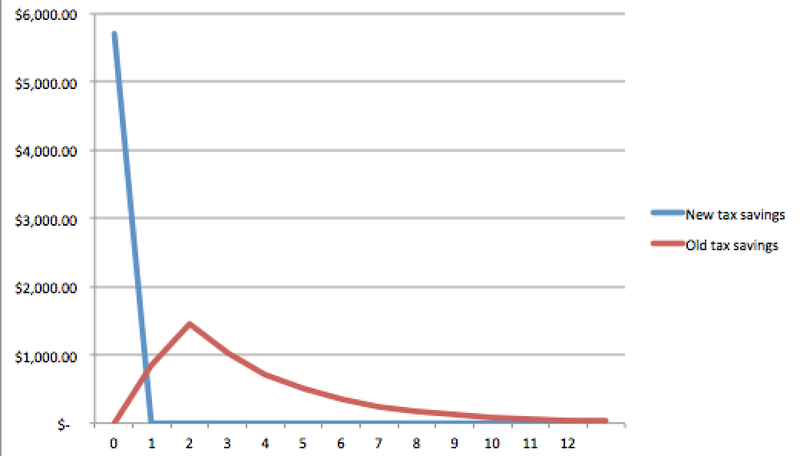 Here’s a graph for how your depreciation works under instant write off versus slow depreciation. Years since purchase on the horizontal axis. We can measure how much benefit instant access to the write-off provides. All we need to do is make an assumption about how small business values money over time. We do that with a discount rate. Lets assume a discount rate of 8 per cent. If that is the case, the net present value of the flow of money is $4660. Only $1040 less than the value of the money right now. In summary, the government is getting great value from this policy in media coverage terms. Compare it to another tax break they gave small business in the Budget – a five per cent tax cut for unincorporated businesses. You probably haven’t seen mention of that anywhere. But this five per cent tax cut (full disclosure, I run an unincorporated business!) is worth even more to the Budget bottom line. 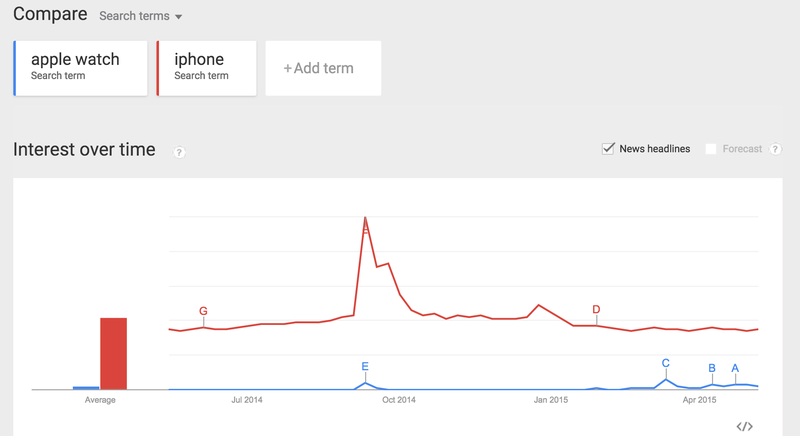 That’s it in the blue bubble on the right side – worth $1.8 billion. This graphic was in the glossy brochures journalists got in the Budget lock-up. It’s one of the most expensive measures in the Budget. And it has barely got a headline. The government will not make that mistake again. Expect asset write-off thresholds to be even higher in the next Budget as governments seek a headline that says something like $100,000 Asset Tax Bonus for Small Business. I’m in the nation’s capital for the federal Budget! For me, this is like Christmas. No phones or internet are permitted inside, and once in, you can’t leave until 7.30pm. At that time the Treasurer stands to deliver his Budget speech to the House of Representatives and the Budget is finally public. Until that time, please check out these two pieces of pre-budget coverage I have had published in other places. A “Fantasy Budget” I wrote for Crikey. 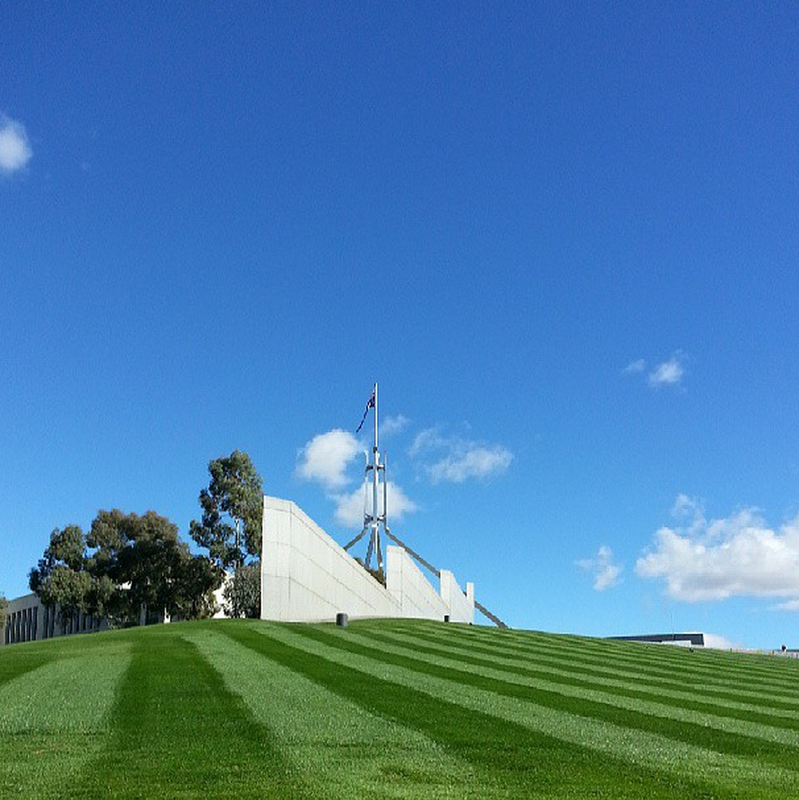 Posted on May 12, 2015 Author thomasthethinkengineCategories UncategorizedLeave a comment on Budget Day! 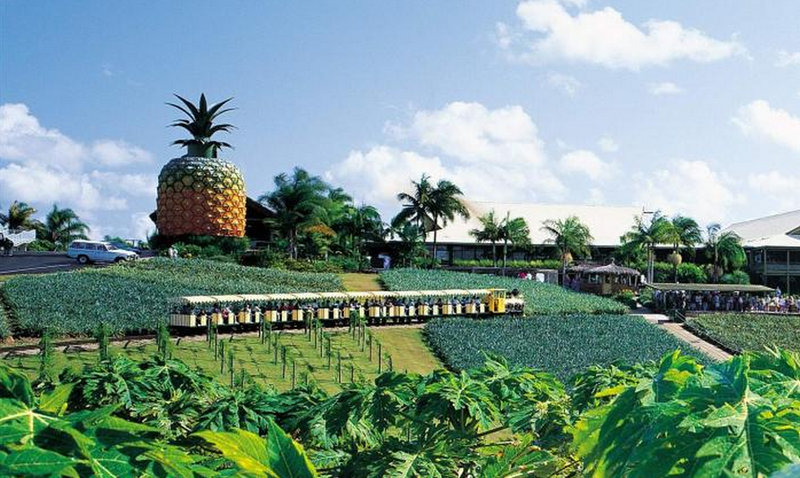 Unlike its pineapples, this country likes its businesses best small. The federal government continually showers the small business sector with largesse. One of the most-publicised announcements next Tuesday is a tax cut for small businesses. 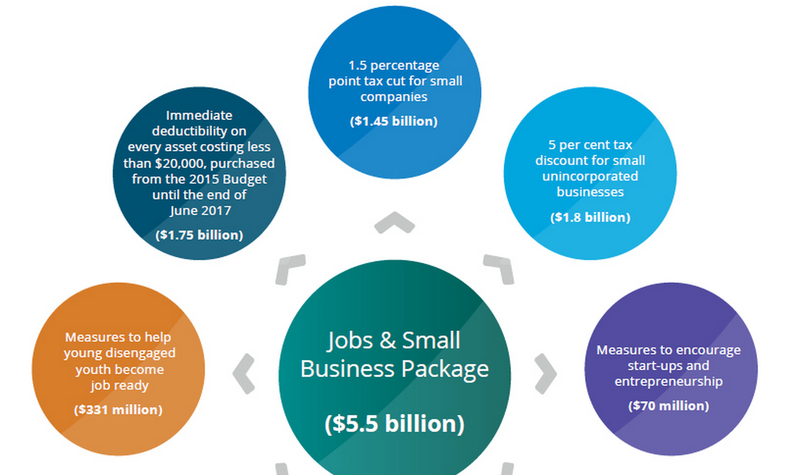 Tony Abbott is spruiking that 95 per cent of businesses will access the tax cut. Which is true, because most business are small. But most business is done by big businesses. That’s where more people work. And they thrive despite much tougher regulatory and tax standards. Small businesses get an easy run on labour law and tax law. They’re not eligible for the special tax Mr Abbott introduced at the last election to fund his parental leave scheme. I know – I run a (very) small business as a sole trader and I don’t even have to collect GST. It’s actually administratively very simple. But how good is this for the economy? Should we encourage small business? A huge number of small businesses just disappear. Every single one of them represents disappointment and sorrow, and probably years of work and capital equipment that now is useless. Small businesses come with real economic and social costs. You might support small business if they reliably turned into big businesses. But even the ones that survive simply hang on. 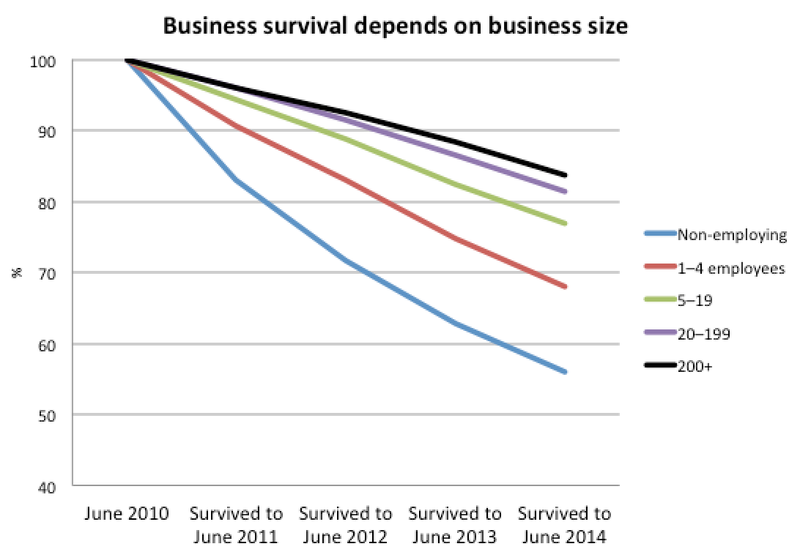 Of the 500,000 small businesses that employed 1-4 people in June 2013 and survived the year, most did not fare well. 52,000 of them now had no employees – about 10 per cent. 423,000 were the same size. Government woos small business because there are so many of us. We’re a voting bloc. But economically, it makes little sense. Posted on May 8, 2015 May 8, 2015 Author thomasthethinkengineCategories Uncategorized2 Comments on Australia’s small business obsession. Posted on May 7, 2015 Author thomasthethinkengineCategories UncategorizedTags ASX, bitcoin, investing4 Comments on Thoughts on how to invest right now.